The bomber’s real target, he added, could have been the 4,000 schoolchildren slated to attend a graduation ceremony at the public plaza for the Department of Education (DepEd)’s feeding program. MANILA, Philippines — The suspected Moroccan suicide bomber was forced to detonate his powerful car bomb in Lamitan City, Basilan late last month in an attempt to escape arrest after his van stalled near a military checkpoint, Defense Secretary Delfin Lorenzana said yesterday. “Our intelligence is 80 percent sure that he was Moroccan. Recovered terrorist photos in Sulu showed that his picture has been encircled and marked ‘martyr.’ Well, did he die? We don’t know but maybe he (suicide bomber) is the guy,” Lorenzana said. Also bolstering the suspicion that the bomber was Moroccan was the fact that he could not speak the dialect in Basilan. “So that’s my qualification that indeed he was a Moroccan. He could not speak the dialect and according to two civilian witnesses, whom the bomber initially approached for help when his van got stalled near a military checkpoint, he was a foreign-looking guy,” Lorenzana pointed out. He said the bomber might not have had the intention to blow himself up but was forced to do so at the last minute to evade arrest. The man was reportedly out to avenge the death of one of his kids and the wounding of another during a fight between terrorists and the military in Sulu. 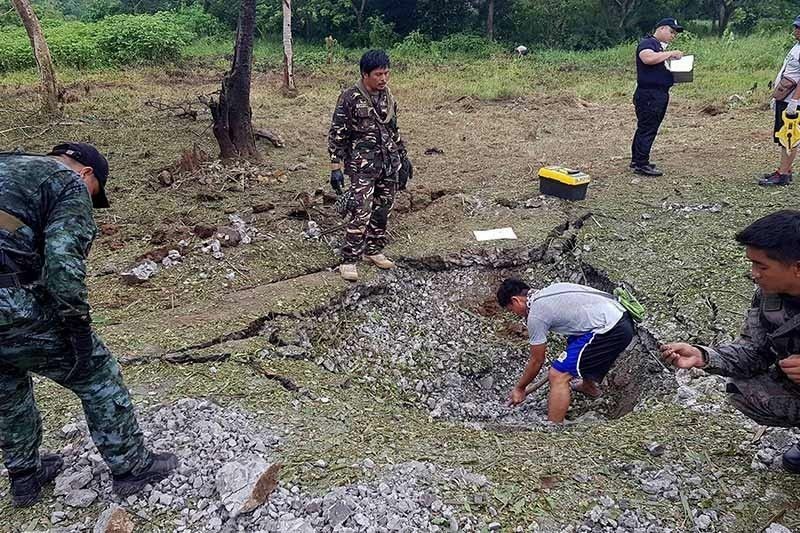 Probers, he revealed, believed that the bomber’s real intention was to drive and park his bomb-laden van close to the Lamitan City Plaza and remotely detonate the powerful explosives once the children are gathered for the DepEd event. However, the bomber was stalled at a checkpoint after one of the militia members inspecting vehicles became suspicious of the wires inside the van. The militiaman raised his suspicions to the Army Scout Rangers nearby, Lorenzana narrated. He added that just as the militiaman, together with the soldiers, approached the van, they saw several civilians milling around and the bomber already at the back of the driver’s seat. “It’s a suicide bombing… He committed suicide instead of getting arrested,” Lorenzana said. The Islamic State of Iraq and Syria (ISIS) has owned up to the bombing, saying its Moroccan fighter was behind the attacked. Senior anti-terror sources also said that Indonesia-based ISIS terrorists rigged the van with the help of the Abu Sayyaf group under Furuji Indama. The Abu Sayyaf were reportedly angered by the decision of the Basilan provincial and local governments to cease all direct and indirect financial support to the bandit group. “That’s one reason that they got involved in the bombing,” Lorenzana said, adding military and police probers are now tracking the personalities behind the deadly blast, including the owners of the van.